As part of the Jim’s Group, it is our aim to provide the highest level of customer service and satisfaction. We are passionate about newest technologies in regards BBQ Services. Therefore, we take great pride in helping choose the right services or parts for you. Regional Franchisor Scott Dell from Torquay teamed up with the Jim’s Group to develop and start Jim’s BBQ Cleaning. Scott has been in the BBQ cleaning industry since 2003 when he started Aussie BBQ Cleaning. Scott saw the benefits of aligning himself with a trusted and powerful brand and recognised the potential for growth to operate as Jim’s BBQ Cleaning. Scott says “We aim to grow our division firstly throughout Victoria and then interstate by offering the great customer service that the Jim’s Group is renowned for. 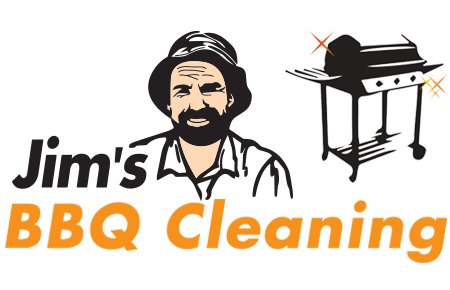 Whether it’s cleaning a backyard BBQ or cleaning the 100’s of public BBQs located in public parkland Jim’s BBQ Cleaning is the one that can do it”. I chose to buy a Jim’s franchise as it’s the largest franchise group in Australia. So there are many benefits being with this large organisation to further my career and having a great lifestyle to go with it. Being your own boss is one thing but being able to be flexible with you work load is another whilst earning great money. I chose Jim’s because although you are in business for yourself, you are not by yourself. The blue print for success has already been drafted. I know my Jim’s BBQ Cleaning franchise will give me a great work life balance which is what everyone should strive to achieve. After many years in the corporate world and then running my own retail store it was time for a change. I was looking to get into something that was a service to a client rather than sales and all the associated stress. Stumbled across Jims BBQ and thought it was a great , different , opportunity. The assistance and encouragement shown to me from all at Jims has been a great help in taking a big plunge into the unknown. Now I wish I’d done it 20 years ago.